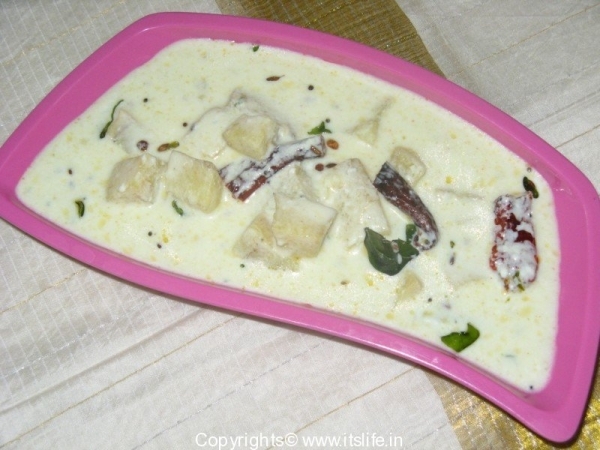 This dish is from Kerala using raw Banana and Yoghurt. Grind Coconut, Cumin seeds and Green chilies to a fine paste. Beat the curds well and mix with the coconut masala. Keep aside. Cook banana with water, Salt, Turmeric, and Chili Powder until soft. Sieve and add Banana to the Curd mixture. Heat Oil and add Mustard Seeds and when they splutter add Fenugreek seeds, Red Chilies and Curry leaves. 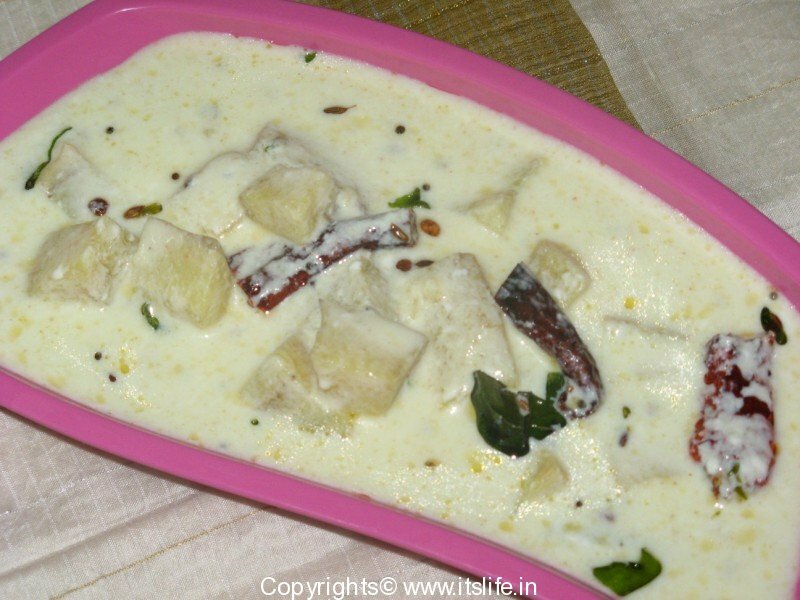 Pour this over the Banana and curd mixture and mix well. Add Salt and mix. Serve with Rice or Indian bread.